This freeform natural Australian boulder opal weighs 15 carats. 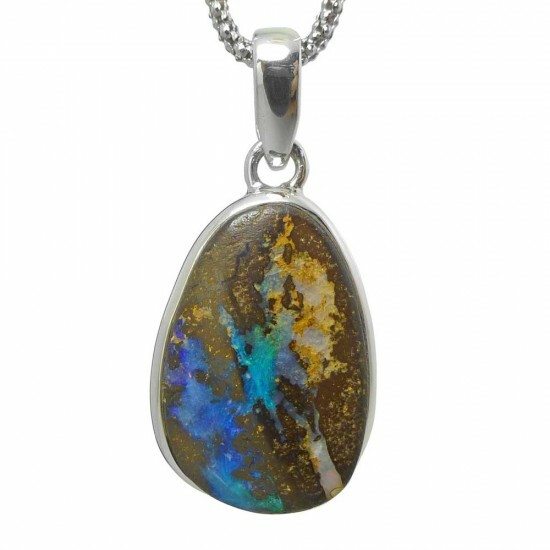 The opal is framed in a sterling silver handcrafted frame. Clouds of medium blue opal contrast nicely with the brown host rock.. A simple yet dramatic piece of opal from Queensland Australia. Each of our Australian Boulder Opals is a one-of-a-kind piece that will arrive with a descriptive card about your gem from the Australian outback. You can choose our own style and length of necklace. 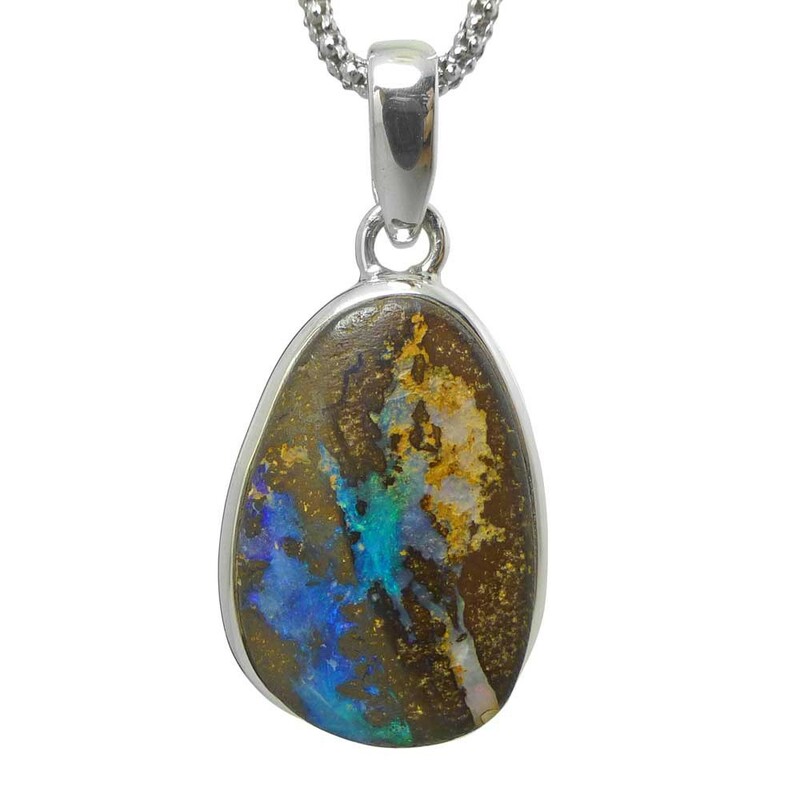 Learn more about Australian boulder opals.